Vanessa Hudgens is one of the judges on So You Think You Can Dance and she showed off her look via her instagram page from the show earlier this week. 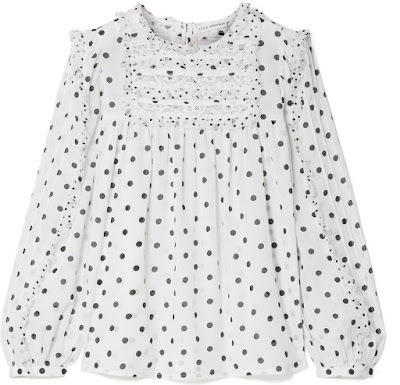 She posed for the gram wearing the ULLA JOHNSON PRE-FALL 2018 'Bailey' white & black polka dot top with ruffle trims & lace inserts, along with the matching ruffle, tier polka dot mini skirt. I like this playful polka dot ensemble and the red pout added a touch of color balance to it. However I think she could have left the DJULA hoops out. ROBERTO BRAVO & HUEB rings and the STUART WEITZMAN sandals in white topped off her look. Are you feeling Vanessa's instagram style? 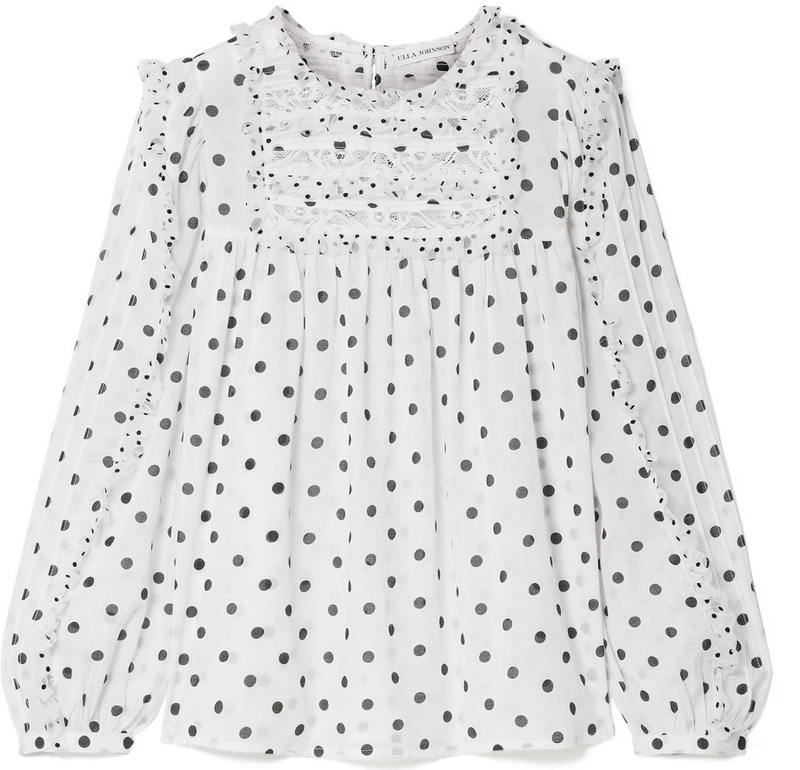 You can get Vanessa's Ulla Johnson top at NET-A-PORTER, NORDSTROM, SHOPBOP & BARNEYS NEW YORK.